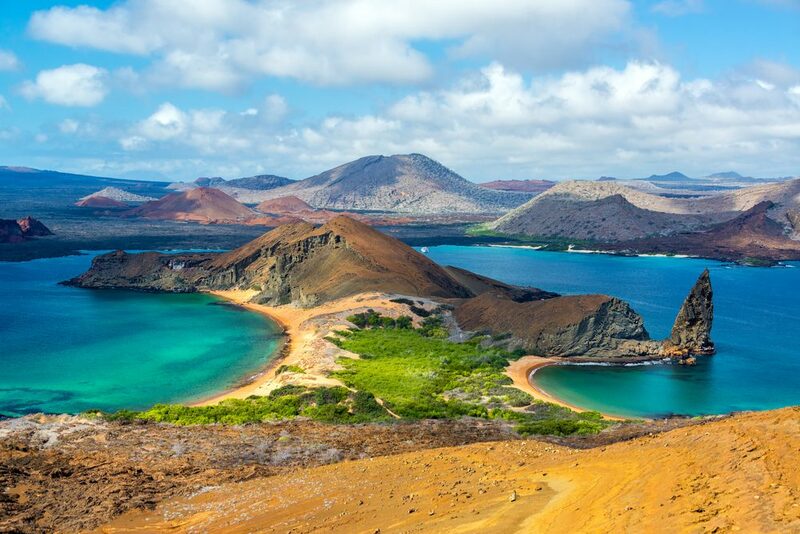 The Galapagos Islands are pretty “wow” on their own. They’re also carefully protected: Their environmental value is renowned and, therefore, the routes that travelers can take, the islands they’re allowed to visit, and the activities in which they’re allowed to participate are circumscribed. 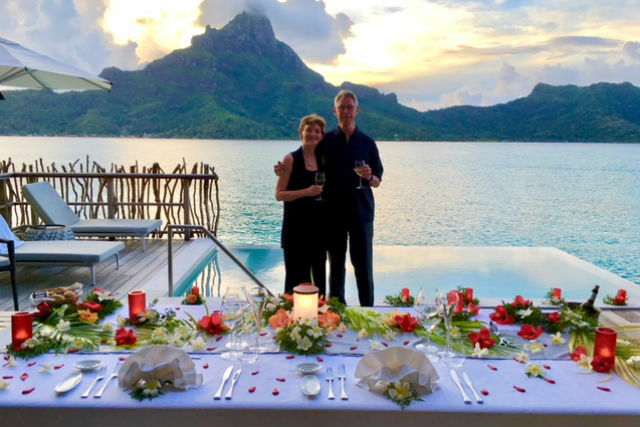 So, when longtime WOW List users Davi and Michael Harrington earned a complimentary WOW Moment for their trip to the Galapagos, Wendy and Allie Almario, the Trusted Travel Expert on The WOW List who was charged with arranging their trip, faced quite a challenge. WOW Moments are complimentary surprise insider experiences that are custom-designed for you by a Trusted Travel Expert (TTE) in collaboration with Wendy. They rely on a TTE’s rich knowledge of a place, deep working connections there, and ability to arrange unusual adventures there. 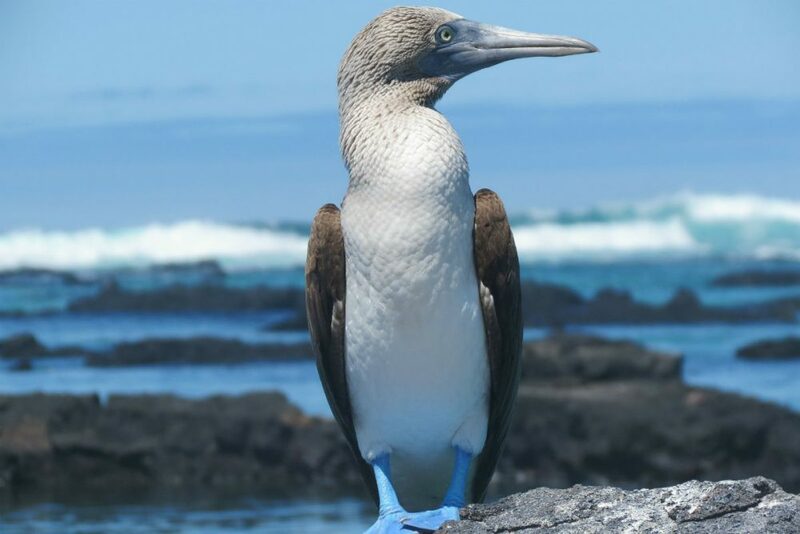 In the Galapagos, where visitors travel in groups on boats and everything is pre-scheduled, Allie had to be super-creative about orchestrating a surprise. We spoke to Mrs. Harrington to find out whether she succeeded. A: I knew there was one coming, but I didn’t know what. Allie had said to be flexible in the Galapagos. So the first part was when we came to our room and saw the two hats and two bags on the bed and a card saying there was more to come—which was great, I loved that stuff. The next part was going out on a panga (a small boat) with just our ship’s captain and Freddie, one of the ship’s naturalists. Freddie had a guitar and sang two Spanish songs to us, one of which was my absolute favorite song, “Besame Mucho.” The second was one that my husband, Michael, recognized from when he was a kid. They brought drinks for us, and we went out before sunset, and it was totally magical. We loved it. Q: How was the ship that Allie recommended for your trip? A: Allie really steered us right. The Origin was beautiful. It only had ten guest cabins, and they were all the same, so there was no difference in levels or anything. Allie was excellent at asking us questions about what we wanted in a boat and guiding us, because I suspect your experience really depends on your boat. The Origin’s ratio was always excellent in terms of 9 to 1 or 10 to 1, and every single staff member was superlative. The people on the Origin get to know you and what your preferences are, so the guy who ran the bar really knew what people drink and he’d be ready for you. Or the guys helping you get on the boat after snorkeling recognized early who needed a little more help and they were right there. The captain was delightful. And our WOW Moment made us feel so special: There he was—the captain, dressed in all his whites—singing along with Freddie, the naturalist. It was magical being out there in the panga in the middle of nowhere with beautiful scenery all around. Q: You qualified for a WOW Moment because you’ve used Wendy’s trip-planning system multiple times. 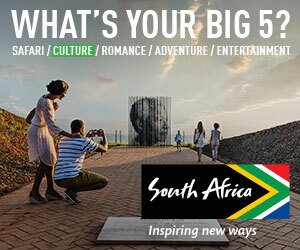 Why do you use Wendy’s recommended experts to plan your trips? A: Because every single time we’ve used one, they’ve done an amazing job. We knew we would be in good hands. For example, one of our flights was canceled, so we missed our connecting flight and ended up not getting to Guayaquil until 11pm. The people on the ground were in contact with us, and they had someone who met us at the airport. Even though we were spending that night at the airport hotel, they didn’t leave us to figure it out ourselves; they arranged for someone we had met before to meet us again. We always felt well taken care of. 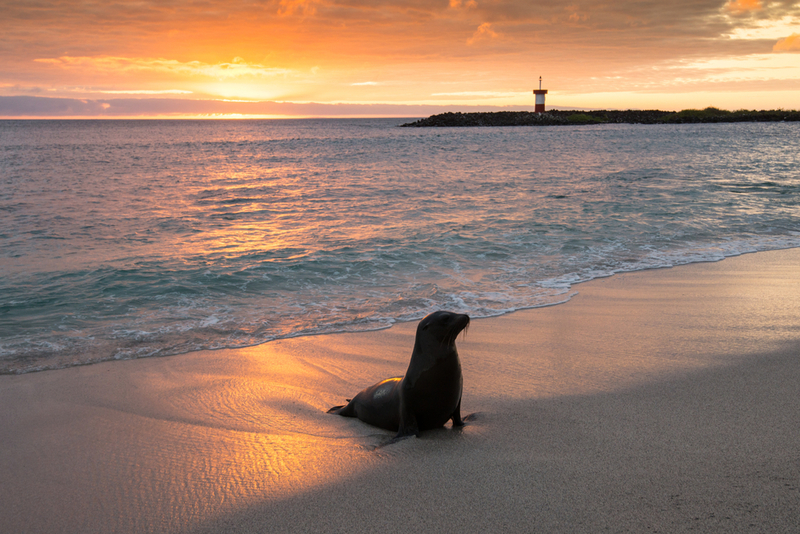 Q: The Galapagos Islands were not the only stop on your itinerary. In what ways did Allie make this trip your own? A: For starters, we began in Peru and flew to the Sacred Valley and then to Machu Picchu before flying to Guayaquil [Ecuador] and on to the Galapagos. Then, after the Galapagos, we went up to Zuleta, an amazing hacienda. 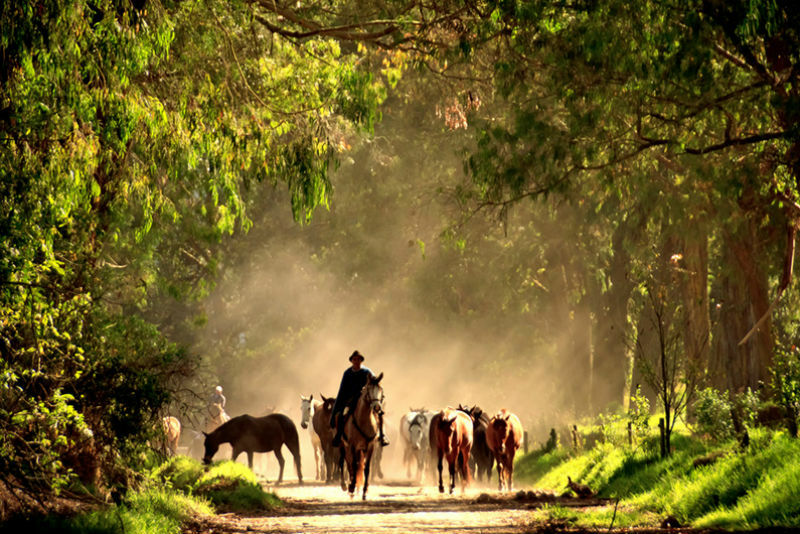 It’s a 4,000-acre working farm that belongs to the family of a former president of Ecuador. When they weren’t in Ecuador’s “White House,” this is where they stayed. They kept the hacienda pretty much as it was, and the five daughters and their children run it now. They make milk and cheese that they sell all over Ecuador. There’s a store where local women can sell their crafts and products. And they take great care of their horses, which we rode up to a condor reserve. Zuleta was Allie’s suggestion. Allie also chose superlative guides for us. The one in Peru for the Sacred Valley and Machu Picchu, and the one in Ecuador after the Galapagos—they both were amazing in that there was a lot of history to convey and they were both able to do it in an interesting story. It wasn’t a dry historical lesson. They both had such a passion for their country. The naturalists on the boat were incredible too. This one woman in particular, Natasha, was so passionate about all the birds and fish, and she did deep-sea diving. We would follow her and she’d point out a manta ray or stingray or a shark. She was just so excited, it was contagious. Q: What were some other highlights of your trip? 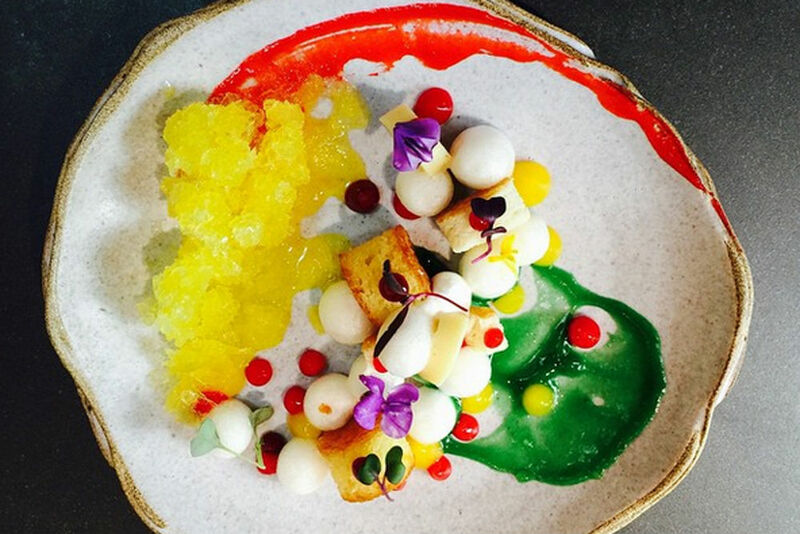 A: Sol y Luna was an amazing Relais & Chateaux property that Allie picked for us. There are a lot of Incan ruins there. And Machu Picchu had been on my husband’s bucket list forever; it is pretty magical when you get up there and see how brilliant the Incans were and what they figured out a long, long time ago. 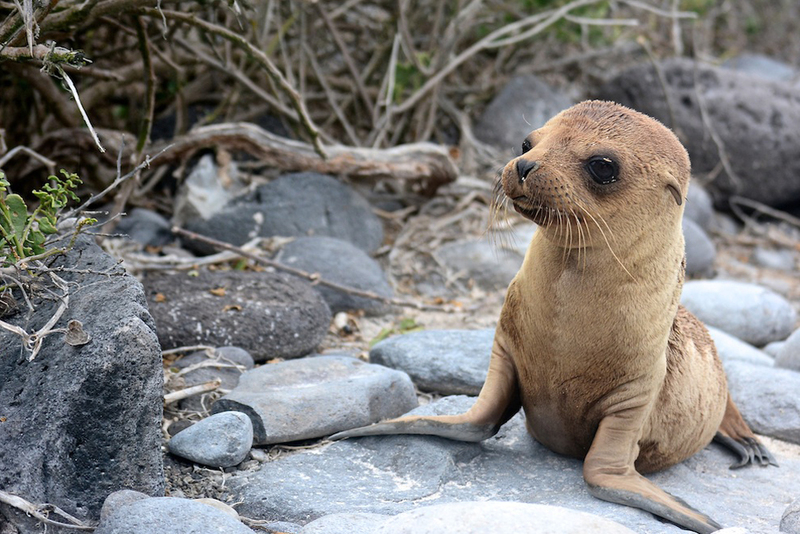 And I loved our walks in the Galapagos—we saw giant tortoises, sharks, blue-footed boobies, albatrosses, flamingos, and a ton of sea lions—and snorkeling off the boat there. One time when we were snorkeling, there were so many fish you couldn’t see the bottom; it was a like a blanket of fish below you! There were so many highlights. It was a busy trip. [Laughs] We both felt like we needed a vacation when we got home! When the Klausners arrived in Morocco, they knew only that they would get to experience a WOW Moment at some point during their trip.